Travel and Tourism in India have increased leaps and bound over the past decade. In fact, The World Travel and Tourism Council calculated that tourism generated ₹16.91 lakh crore (US$240 billion) or 9.2% of India’s GDP in 2018. It is predicted to grow at an average of 7% annually. It’s no doubt that India has become both a travel destination and a domestic hub. There are a constant influx and outflux of people, especially in urban centres. India ranks as one of the top countries undergoing massive urbanisation. according to the 1901 census, was 11.4%. This count increased to 28.53% according to 2001 census, and crossing 30% as per 2011 census, standing at 31.16%. Mumbai saw large scale rural-urban migration in the 20th century. Users in India need several different travel portals and options to ease the process of travel and transportation in the country. There are several modes of transportation in India, on the grassroots levels of our cities and road we have various kinds of automobiles from two, three, four wheelers along with buses, trucks and heavy-lifters. Another recent mode of transport for the public, especially in tier 1 and 2 cities, has been the use of Taxi Cabs. With the introduction of Ola and Uber, it has made possible for users to book taxis to any corner of the city. Inter-city and cross state options include bus, train, and flights. Due to the sheer number of options, the need for hospitality in the travel sector has initiated the development of several online portals. However, with so many portals and options to choose from, there raised another problem. What is the best most effective portal? Mobile users today have to shuffle and juggle between apps and mobile websites to get the best option. This usually leads to a tedious process which in turn at some moment can cause irritation to users. So what would be the solution to this problem? That is what we want to address in this blog. In comes AppBrowzer, to find the best most effective way to give mobile users a seamless process. This would mean going back to our fundamental philosophy of bringing it all together in one place, in essence, an “All In One Travel App”, where users get everything related to travel booking in one place, in one app! Over the last several years, India’s taxis landscape has been dominated by the introduction of Ola & Uber. According to a recent report, Ola has over a million drivers compared to Uber’s 450,000. In terms of app installs, too, among 650,000 Indian smartphone users surveyed by KalaGato, a little over 40% had Ola’s app, compared to Uber’s 28.7%. This is a huge number when you come to think of it, approximately 70% of all Indian Mobile Users use either Ola and Uber. Think about it, imagine a mobile user the choice to book their cab from one app, one place? That is exactly what AppBrowzer app is providing. What’s more, now users can compare prices and types of cabs by entering just one destination. The power is now back in the hands of the user. Flight booking is not a relatively new segment, however, data points to a staggering reality. According to data collected by the Directorate General of Civil Aviation, domestic airlines carried a record 10.6 crore passengers in January-November 2017, an increase of 17% from the same period last year; the International Air Transport Association expects India to become the third largest aviation market by 2025. This data points to simple straight-forward observation, users around the country are constantly booking flight tickets. There are over a dozen portals for users to go and book their flights. AppBrowzer got in the most searched and widely used portals and brought it all together. Along with Ixigo and through smart apps brought together MakeMyTrip and ClearTrip side by side for users to compare prices for a destination entered. So basically, now users will get up to 3 of the best online portals to choose from when booking flight tickets! Bus ticket booking has also seen a rise over the years simply because of the sheer increase in the domestic travel market. Users over recent years make most travel booking options on the mobile and on the mobile website. It was a no-brainer to include bus ticket booking as an addition to the apps we hosted on AppBrowzer. They introduced RedBus into the app to enable AppBrowzer users to book bus tickets on the go! With the app economy gaining prominence and hotels increasingly encouraging consumers to have direct transactions, the role of mobile in hotel bookings is expected to increase. As per a study by KPMG-Facebook, 9 out of 10 bookings in the hotel category are expected to be mobile-influenced by 2022. Moreover, It will grow at 13% to $13 billion by 2020. No wonder the likes of MakeMyTrip, Yatra and Cleartrip, as well as accommodation start-ups such as Oyo and Treebo, among others, are stepping on the gas to grab a lion’s share of the market. Very recently, we have seen a steep rise of booking on US-based- Airbnb as well in India. 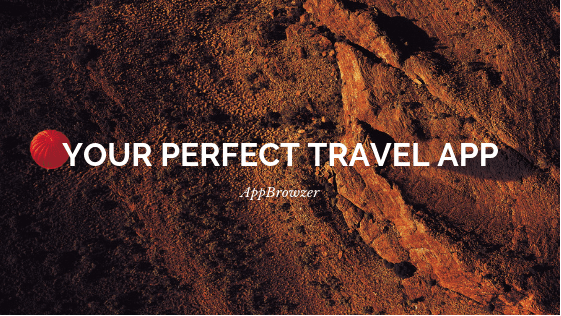 At AppBrowzer, users are given a unique experience to book from their favourite portals. Through Smart apps, we bring booking.com, Airbnb and Trivago together in one screen enabling users to get multiple options before they make a choice to confirm. Why Python Has Become an Industry Favourite Among Programmers?